Speedrunning is all about beating games as fast as possible. One speedrun through a free Homestar Runner web game is so fast that you can literally blink and miss it. Where’s An Egg? is a quick puzzle game where players guide an inspector around on a journey to find an egg hidden on someone’s possession. The game is meant to be a brisk exercise in deductive reasoning. Speedrunner i_o_l doesn’t just find the egg. They do it in one frame or roughly 1/60th of a second. Instead of asking around for clues on who has that delicious, room temperature egg, i_o_l decides that it would be much easier to shoot first and ask questions never. 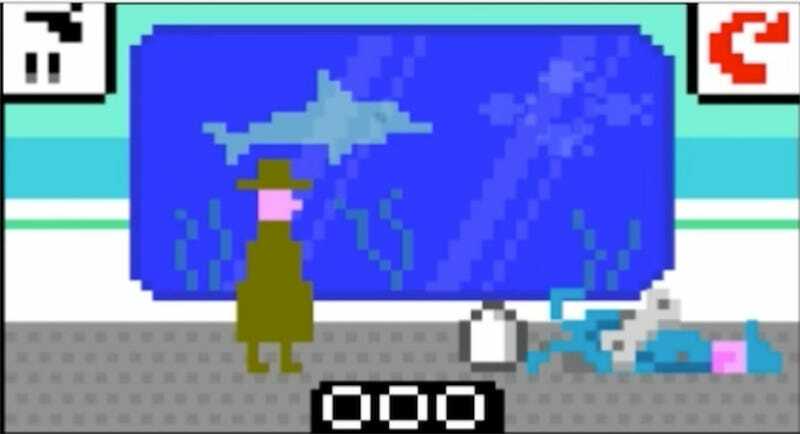 Loading up the game, they fire at the first NPC they find: a grease covered janitor. One button press later and the egg is safe. The final recorded time rests at 17 milliseconds. Guessing games like Where’s An Egg are perfect for novelty speedruns. A quick first try guess can lead to a three second game of Clue. A single frame requires no mistaken inputs and a lot of luck. i_o_l’s hard-boiled grit served them well and reminded us all that you can never hesitate when dealing with egg thieves.